In 2017 there were over 3,600 deaths related to traffic accidents in California. That is more than a 13 percent increase in traffic fatalities over 2015. 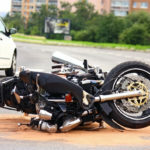 The total number of injury-causing traffic collisions has likewise increased in California in recent years: According to the 2018 Annual Report from California’s Office of Traffic Safety (OTS), there were 273,069 traffic-related injuries in California, up from 252,299 in 2015, although slightly below the 2016 total of 277,231. Traffic safety experts and officials estimate that over 97 percent of traffic collisions and accidents are caused by driver error. What are drivers doing to cause so many traffic collisions in California and across the country? Drunk driving remains one of the leading causes of traffic accidents and traffic fatalities across the country. There were over 26,000 alcohol-related traffic injuries in 2017 in California alone. Thirty-one percent of all traffic deaths in California were connected to alcohol use. OTS also reports, based on preliminary data, that 11% of drivers killed in traffic accidents who were tested did test positive for drugs. The actual number may be much higher, given that that statistic only reflects the percentage of those tested. By every possible measure, distracted driving has been on the rise in recent years. Cell phone use while driving is an incredibly pervasive issue. According to an OTS survey, drivers view texting while driving as the second biggest safety problem on California roadways, just behind speeding or aggressive driving but well ahead of drunk driving. Over 62% claimed to have been hit or nearly hit by drivers who were using cell phones. Despite knowing the dangers, 32% of survey respondents admitted to using a cell phone or other wireless device while driving in the previous month. Forty-six percent of respondents admitted, moreover, that they had personally made a driving mistake while talking or texting on a cell phone. Californians, especially in Los Angeles, are known for their aggressive driving habits. OTS reports that there were nearly 90,000 speeding-related injuries in California in 2017. An OTS survey showed that California drivers view speeding or otherwise aggressive driving as the biggest danger on California roadways. One of California’s greatest attractions is the availability of all types of climate within driving distance. Unfortunately, that is also one of California’s biggest problems when it comes to traffic safety. Driving in snow, rain, sleet or fog significantly increases the risk of a traffic accident. Driving late at night also increases the risk of a collision: OTS reports there were nearly 26,000 injury collisions in 2017 (and over 41,000 total traffic injuries, beyond collisions), as well as around 1,000 traffic fatalities that occurred between the hours of 9 p.m. and 3 a.m. 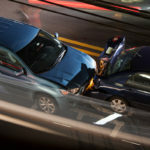 If you were involved in a California traffic accident, it’s important that you hire an experienced California traffic accident lawyer immediately. Evidence can disappear or lose its fighting power the longer you wait, so call the Pasadena law offices of Andrew Ritholz today at 626-844-7102 for your free case evaluation.